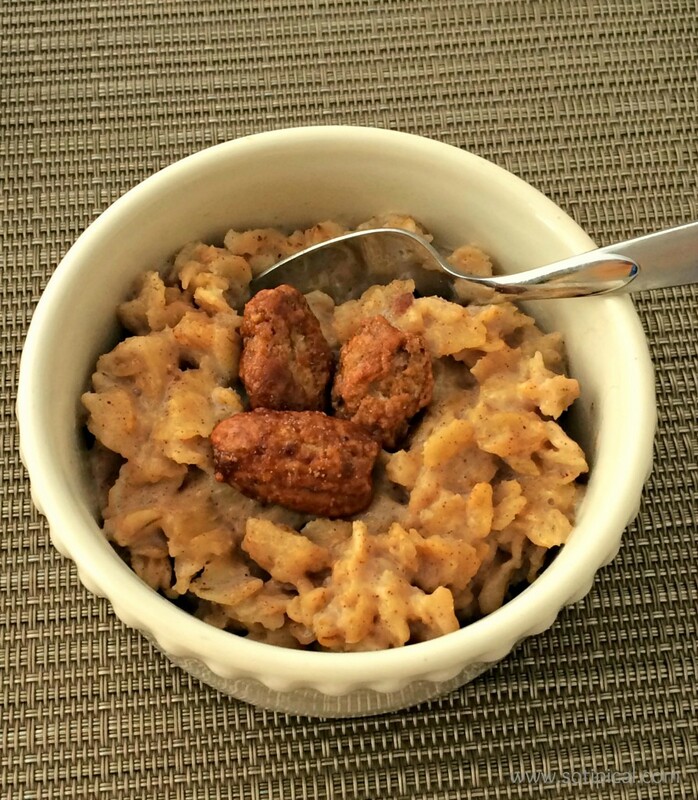 What’s more delightful on a cold, winter morning that a hot bowl of easy Gingerbread Oats?! Hot, creamy, delicious and it will keep you going all morning long! 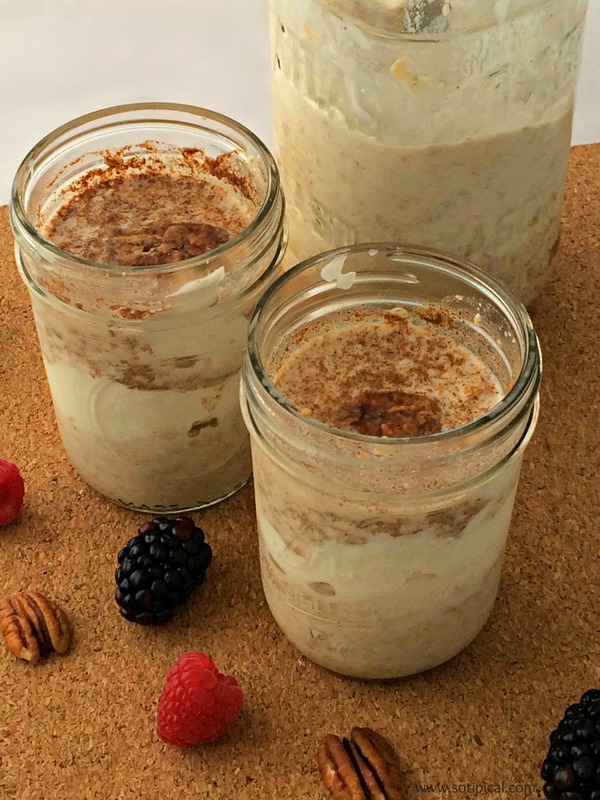 I love a tasty bowl of hot oatmeal with my morning coffee, but I’m also loving the idea of overnight oats! You can make it in advance and its ready to grab and go in the morning. 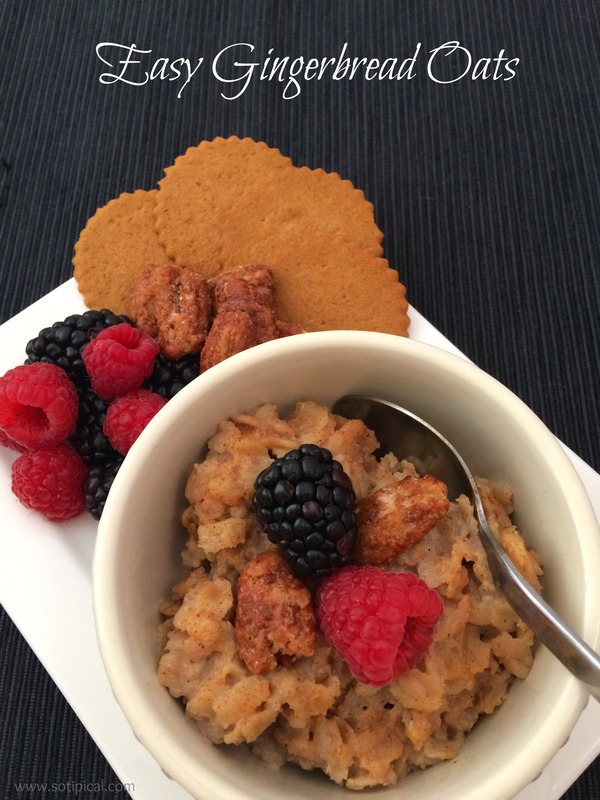 Today I’m sharing my easy gingerbread oatmeal recipe prepared 3 ways. The basic recipe is made with steel cut or rolled oats, but I will also give you the cooking instructions for using quick oats, as well as an overnight oat recipe too! I got the idea to make gingerbread flavored oatmeal when I was shopping at Walmart last week. I was looking at the holiday display of International Delight Creamers. I picked up some Caramel Macchiato singles and a bottle of Frosted Sugar Cookie creamer, which has the sweet taste of home in a rich, creamy swirl inspired by cookies and frosting, and it got me thinking about gingerbread cookies that I could be dunking in my coffee. Now I only drink coffee in the morning and I don’t typically eat cookies for breakfast, but I do like oatmeal! The holiday season is quickly approaching, and with the season comes tradition and lots of memories. I decided to incorporate some of mine in the oatmeal, using International Delight Creamer! I actually use International Delight Creamers for more than just my coffee. My kids use it to flavor their milk, hot chocolate and in smoothies & milkshakes. I use it for making ice cream in my blender, baking, in coffee, cocoa and chai. Oh one more thing…so as much a I love coffee and even have a gold card for a major coffee chain…when I get a cup, I always brought it home to add my International Delight Creamer instead of their flavoring. I have even left the house with a small cup of creamer to add when I bought it. I kid you not. Then it hit me! Why not carry the singles in my purse? And thats exactly what I do, especially when we travel! TIP: Did you know that International Delight Creamers freeze well?! The holiday flavors are offered for a limited time, so stock up and freeze them so you can enjoy these great flavors even after the season comes to an end! 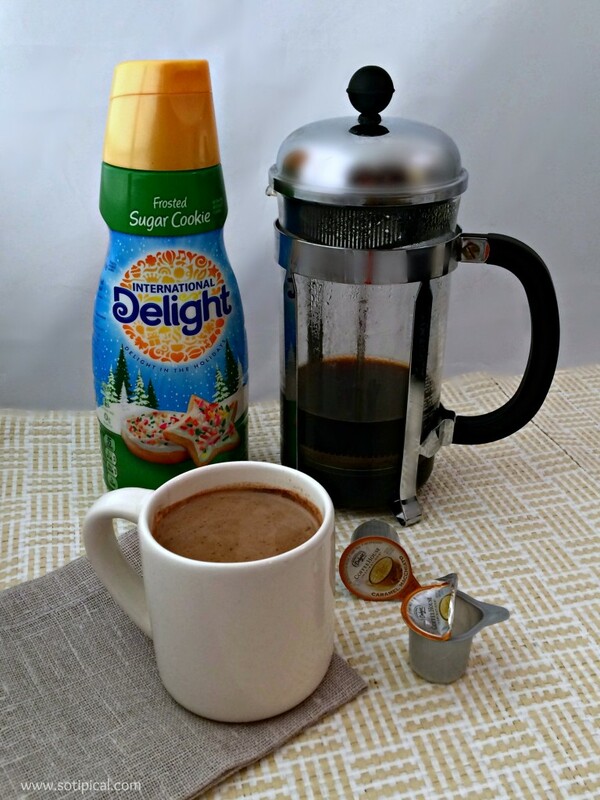 I love a good cup of French Press coffee in the morning with my International Delight Creamer! Add water, milk, creamer, ginger and cinnamon to a medium pot, over medium heat. Bring mixture close to a boil, then stir in molasses and oats. Stir well and reduce heat to low. Cook 10-15 minutes, stirring often. Cook to desired consistency. Remove from heat and allow to cool for a few minutes. Top with cream, berries, nuts, pralines, if desired. Serves 2. Add all ingredients to a medium, microwave-safe bowl. Microwave for 1 1/2 – 2 minutes on High heat, until thickened. Stir well and be careful! Bowl will be hot! Serves 2. In a medium bowl, combine the water, milk, creamer, molasses and vanilla. 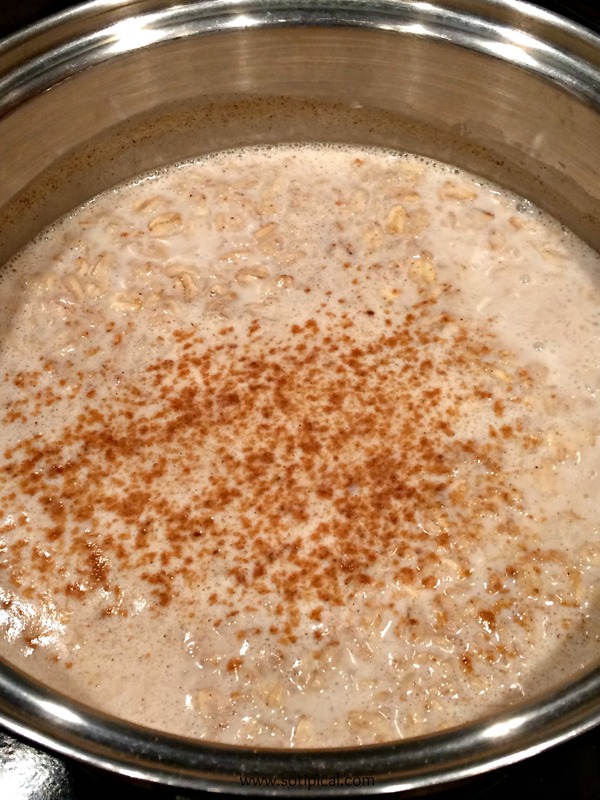 In another bowl, combine the oats, ginger, cinnamon and pecans(if using). Slowly add the liquid mixture to the oats and mix well. Divide into jars, but only half way, reserving the other half. Add a couple of spoonfuls of Greek Yogurt over the layer of oats, then add the remaining oats mixture on top. Seal the jars and refrigerate overnight. * I like more of a chewy oatmeal, so I am often good with the consistency after 30-60 minutes of refrigeration. Overnight oats taste so good with berries, bananas or chopped apples too! It has such a nice flavor, that I eat it as a treat/dessert sometimes. It almost reminds me of eating rice pudding. I can fill 3-4 small 1 cup jars, depending on how much yogurt I add. Make this on a Sunday night and you have breakfast ready for a few days! You can also enter to win $5000 by sharing your own holiday story, photographs or videos HERE. Tell International Delight what delights you each holiday season. 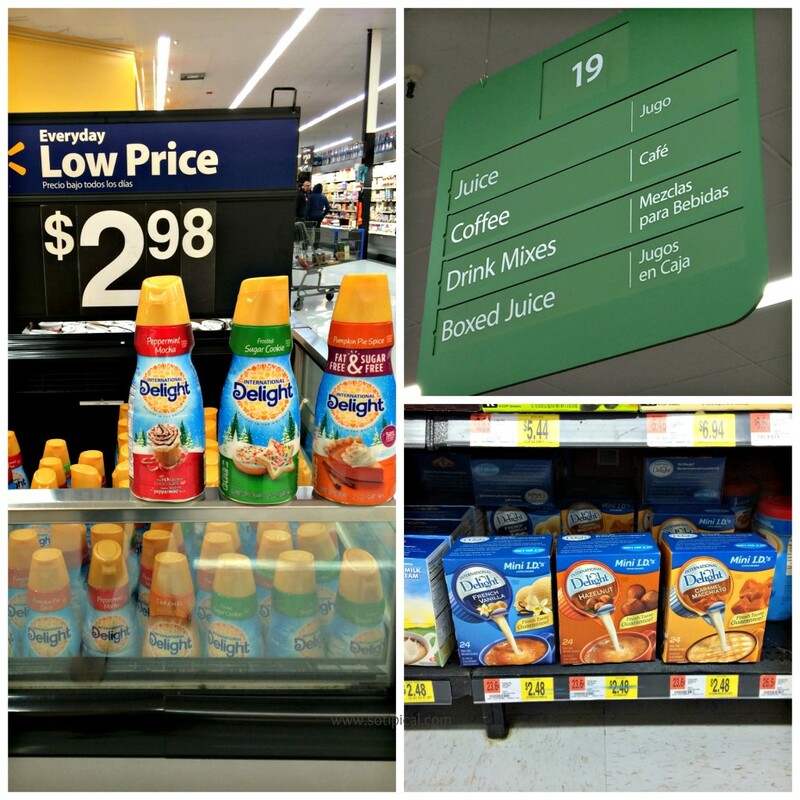 Besides coffee, where else will you use your International Delight Creamers? I want to know! I can’t wait to give this a try! Thanks for the freezer tip, I’m always sad when my favorite seasonal flavors go away! Mmmm – what a great idea! I will definitely be making the overnight oats. Love it! Thanks for the recipe. P.S. Found your blog on the Wednesday Round Up :). Thank you Cailly! I hope you enjoy it and thanks for joining us this week at The Wednesday Roundup!